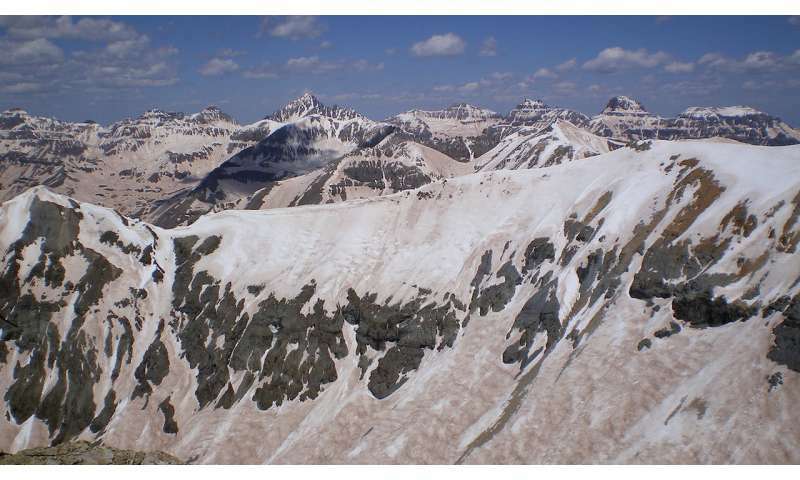 The study, titled "Variation in rising limb of Colorado River snowmelt runoff hydrograph controlled by dust radiative forcing in snow," was published today in the journal Geophysical Research Letters. This article mirrors what occured in Washington State's Cascade mountains during the summer of 1980. Prior to Mt St.Helens' explosive eruption in mid May, a few of it's substantial ash-plume burps drifted North, coating the glaciers and consolidating snowpack on Mt. Rainier & adjacent alpine peaks. In places, the accumulations of ash were thick enough to obscure any distinction between steep, bare-rock cleavers, and what is usually a pure-white mantling of the previous Winter's snow, that typically remains on glacial ice surfaces and permanent snowfields, well into the warmer months. That summer hosted two more major eruptions of St. Hell. As with the catastrophic eruption, both plumes were carried by the normally Easterly prevailing winds, with no further ash deposits to the North. But a heavily advanced snow melt rate was reflected in the many pulses of much higher than usual river levels, in all the drainages that received a Springtime veneer of the dark ash on their snowpacks.